Installing a network and need to test everything is ok? This is the kit for you. The reliable RJ45 or RJ11 tester is easy to use and lets you know if you have any issues quickly. In this kit we have also included a sturdy krone punch down tool used with IDC connections on the back of faceplates or patch panels. The tool comes with cutting blade to cut excess cable as you install as well as removing tools should you make any errors. 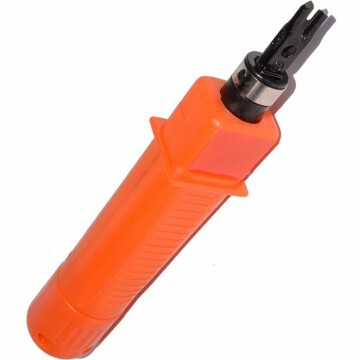 Also supplied is a RJ45 Crimping tool ideal for creating custom length patch cables. The Crimper has a stripper so you can easily strip cables. When connecting network cable into face plates and network modules the punch down tool makes it much easier. It pushes in the wire without any difficulty then cuts the wire neat. 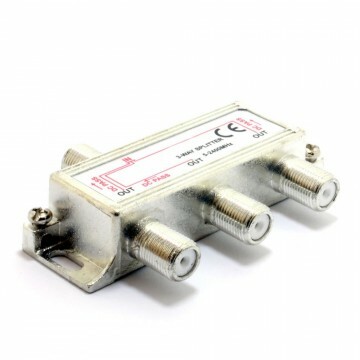 This helps cut the chances of short circuits or crosstalk. If you make a mistake it also includes tools to get the wires out quickly and simply. By using one you are less likely to make mistakes. Easily and quickly test your network cabling for connection problems (i.e. broken wires) and for correct ordering (just in case the wires have been crimped in the wrong order). 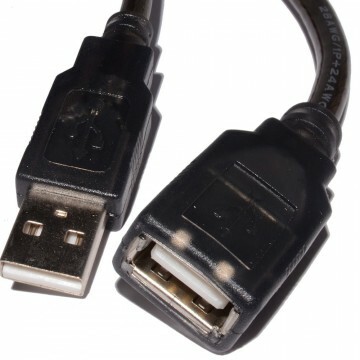 RJ45 sockets - will test any cabling that uses RJ45 ends including CAT-5 CAT-5E and CAT-6. RJ11 sockets - will test any cabling that uses RJ11 ends including ADSL cables. Useful for anyone making their own cables or fitting network cable into the face plates etc.